Scientists at the Cedars-Sinai Regenerative Medicine Institute have designed and tested a novel, minute-long procedure to prepare human amniotic membrane for use as a scaffold for specialized stem cells that may be used to treat some corneal diseases. This membrane serves as a foundation that supports the growth of stem cells in order to graft them onto the cornea. The new method may accelerate research and clinical applications for stem cell corneal transplantation. Corneal blindness affects more than 8 million people worldwide. 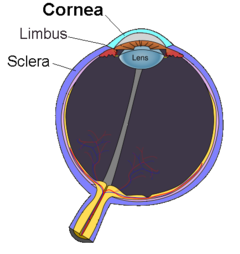 Among other causes, corneal blindness may be the result of corneal stem cell deficiency, a disease usually resulting from genetic defects or injury to the eye -- such as burns, infection or chronic inflammation -- that can lead to vision loss. 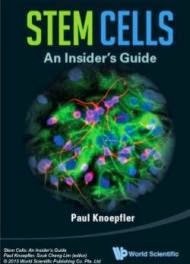 A feasible treatment to rectify vision loss for such patients is corneal stem cell transplantation, either as a biopsy from another eye or by transplanting cultured stem cells, although this promising approach is not yet fully standardized. "We believe that this straightforward and relatively fast procedure would allow easier standardization of amniotic membrane as a valuable stem cell support and improve the current standard of care in corneal stem cell transplantation. This new method may provide a better method for researchers, transplant corneal surgeons and manufacturing companies alike." said lead author Alexander Ljubimov, PhD, director of the Eye Program at the Cedars-Sinai Regenerative Medicine Institute. "" Mehrnoosh Saghizadeh Ghiam, PhD, a research scientist in the Regenerative Medicine Institute's Eye Program, assistant professor in the department of Biomedical Sciences and first author of the study, commented on the potential of the new method. "The amniotic membrane has many beneficial properties and provides an attractive framework to grow tissue and stem cells for regenerative medicine transplantations, especially in replacing missing stem cells in the cornea. Our method for preparing this scaffold for cell expansion is and may streamline clinical applications of cell therapies." said Saghizadeh.